Actia developed the first Diagnostic Testers for Renault Cars in 1980, to troubleshoot vehicle ECUs - such as engine management, automatic transmission, electronic ignition, cruise control. Actia has become one of the few global system suppliers for diagnostic testers and software development tools. We are proud to be the diagnostic supplier of choice for the major car, truck, bus & motorcycle manufacturers worldwide. There are currently over 150,000 examples of our diagnostic products in use around the world. 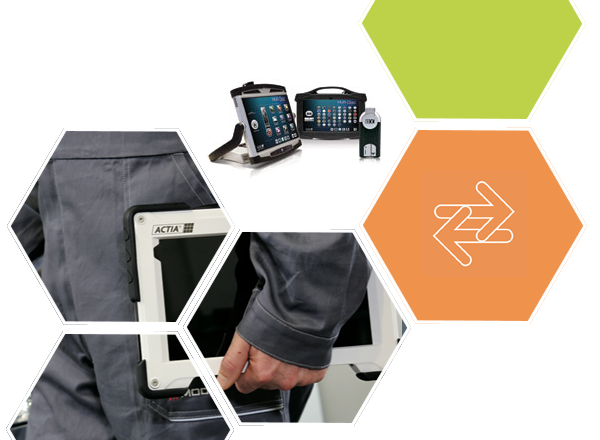 Applying Actia’s wide experience of diagnostic software and hardware we can offer a comprehensive Multi-AID kit to diagnose the MultiBUS electrical system. The next generation of Multi-AID, applying Actia’s wide experience of diagnostic software and hardware to diagnose ActiMUX on Euro 6 vehicles. PassThru+ XS 2G is the only device fully compliant to J2534-1 & J2534-2. Recommended and tested by major OEM's, the PassThru+ XS 2G device is a VCI (Vehicle Communication Interface) enabling you to communicate with the ECU's according to the J2534 & J2534-1 specifications.